Between Write and Wrong: I swear iPotty. Marry me! I swear iPotty. Marry me! Toilets are important. Ask that bladder’s belly in the post-beer queue or the one running hysterically to hug the nearest tree. You can also ask the lady who swooshed past you in the ladies line and hopefully reached the destination point well-in-time. One of the loudest truths of life is that we all need a place to PnBe when nature calls. Gone are the days of gay abandon when relieving oneself was about walking behind the cave (if at all) and reaching back well in time for the bonfire, dinner and cave painting. From no hole to hole dug to humble hole to ceramic-n-steel to automatic, toilets have evolved just as their users have. And loo and behold, our companions in stress/distress recently made news, and how! In a certain district in MP, future grooms are posing with toilets at their homes. Rule book says it doesn’t matter whether they stand next to it, sit on it or just point towards it with one hand, make a victory sign with the other and say cheese. Point is the picture, as evidence, ensures them registration at the mass marriage ceremony organized by the government in the district. That’s only one step done. Second, the toilet in all its photogenic glory helps them woo their ladies and make them skip to my ‘loo’, my darling! How? Jairam Ramesh rightly told us a little while back how providing a toilet to the women in the country will ensure them security, self-respect and confidence - for every single woman out of the 60 per cent who don’t have access to one. So, what do we have? We have men going the extra tile to woo their life partners into their hygienic lives, thanks to an exemplary scheme by the district government towards providing basic sanitation facilities for women. A single photo ID of a man and a giant leap for womankind! iPotty. I mean the gadget. You haven’t heard? 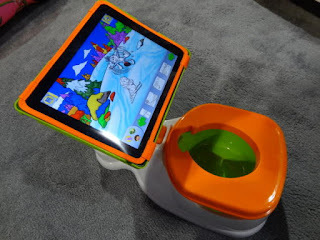 It’s a training toilet for toddlers with an iPad dock attached. A 360 degrees rotating case which let’s your toddler switch from horizontal to vertical viewing. Complete with a clear screen protector for the gadget, in case of misfires and with a cover which converts it into a regular seat. (Yes! I’m still talking about the iPotty and not NASA’s latest space ship to the Sun.) So well, the iPotty keeps your children entertained till the pressure far exceeds holding capacity and they finally “go”. All the while, learning and unlearning with technology what perhaps no one could teach them at home anyway. Now, rumour has it that men-of-notes are wooing their ladies with the idea of an iPotty. How? Well, if you can afford and iPad today you surely can get an iPotty tomorrow, and if you are thinking what I’m thinking, it’s another way to tell your lady – ‘Hey hun! Our kid will be in good hands, er, seats. So have some with me, please?’ And the same rumour mill tells us about a sudden spurt in registration of marriages in a certain section of apple-shaped humanity. There, like they say, iApple a day will get a woman your way, and even keep that tiny bum poo-pooing away! And this morning, as I come out after “getting fresh” fully, a new light has dawned upon my clean insides. That poor cartoonist who went to jail for depicting the Parliament as a WC made a huge mistake. What did he mean by comparing the country’s foremost symbol of respectability to a yellowing ‘Cera Vitreous’ kind of outdated toilet? Preposterous and utter balderdash, and extreme ignorance of the latest in toilet tech. The bio-toilet is where it’s at, now, cartoonist ji. Commode to bio-tank with decomposing bacteria to chlorine to what do we have as an output – only a little water and just a lot of gas! But of course, I am not suggesting anything here. ipotty? really! Wow I never knew this exists! :D Very much does. I think it's for $50. See what the world has in store for lil ones ! that's unique way to make a toddler poo ! 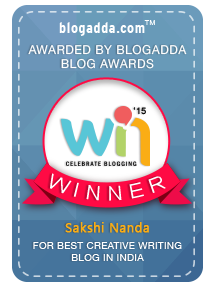 :D Thanks for reading, Nupur. Lol! I cant believe something like this can exist. but i like the concept of this government scheme. Wow! This scheme sounds so Indian. A nice initiative. He he...itoilet- Eager to know if people are using it. Really! !